Icon to show that a USB connection is present. Can be clicked if it's shown. 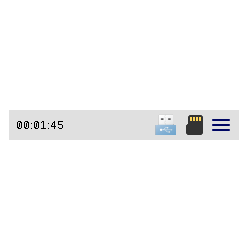 Icon to show that an SD-Card is present. Can be clicked if it's shown. Icon to show a settings dialog. Note that this widget is very application specific. It should be modified as needed to fit the target application. 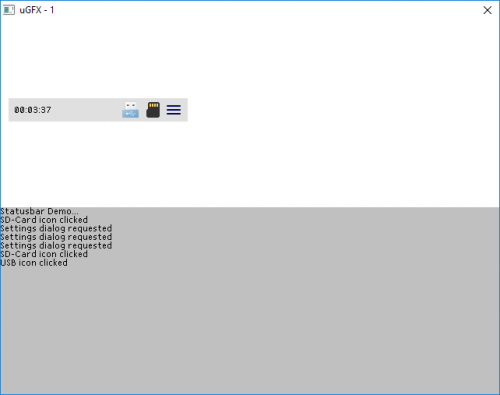 The download also contains a ready-to-run example project. The project has not been optimized to use as little resources as possible. Please adjust the configuration to fit your needs!